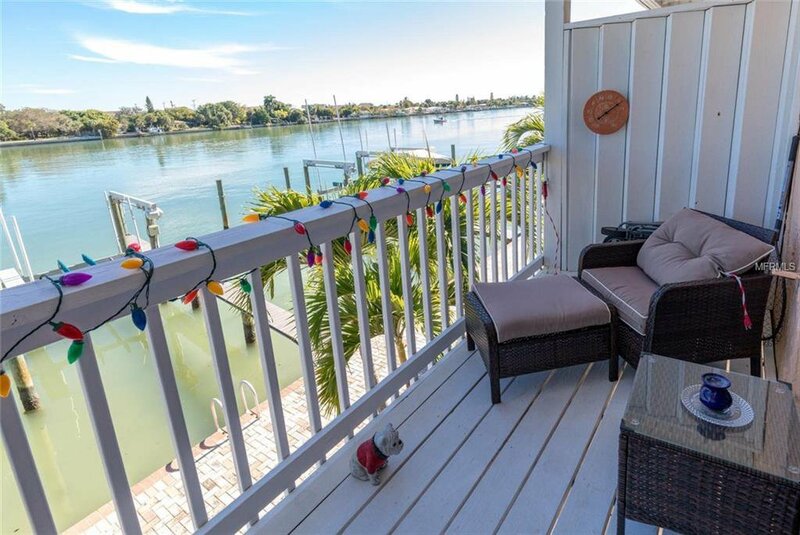 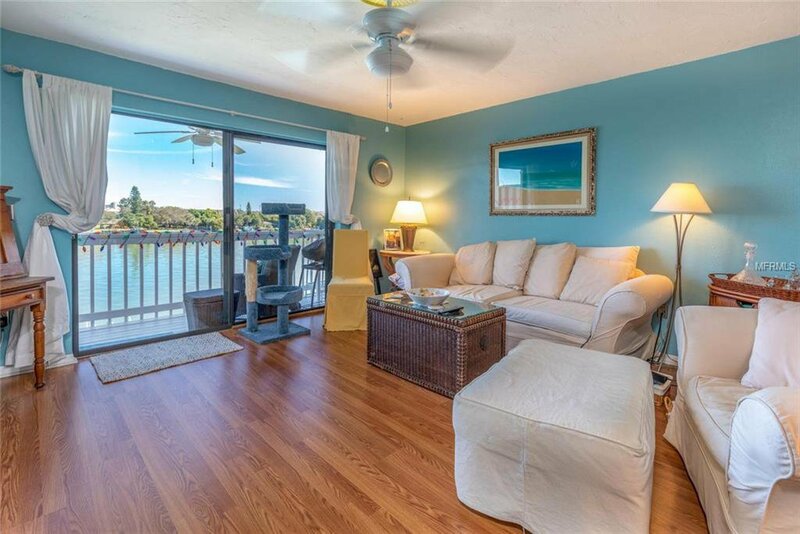 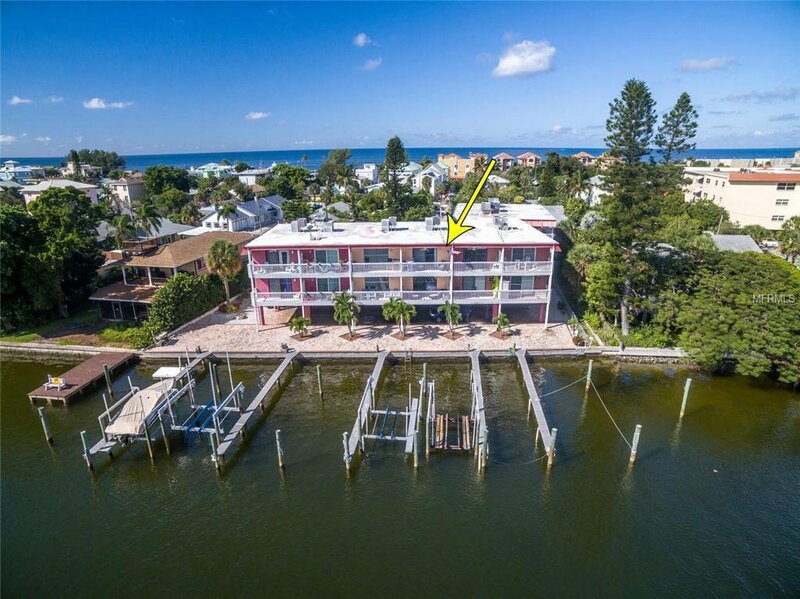 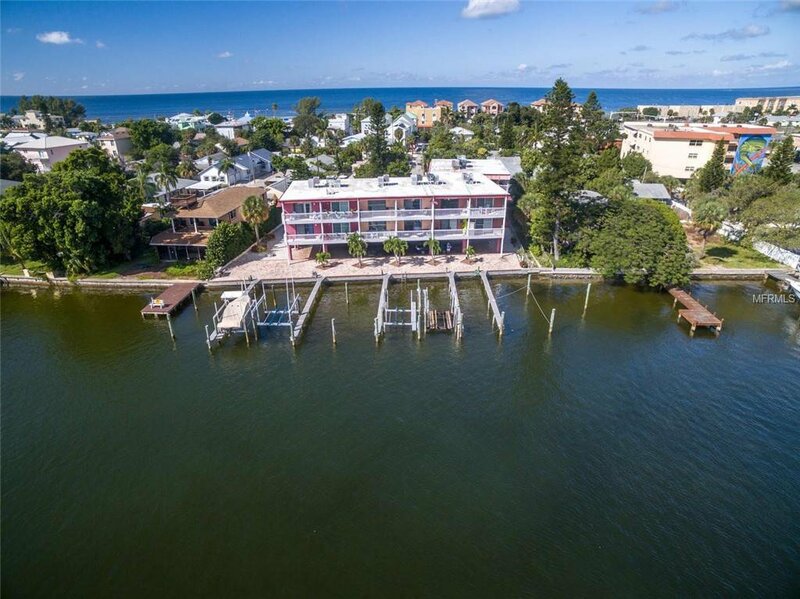 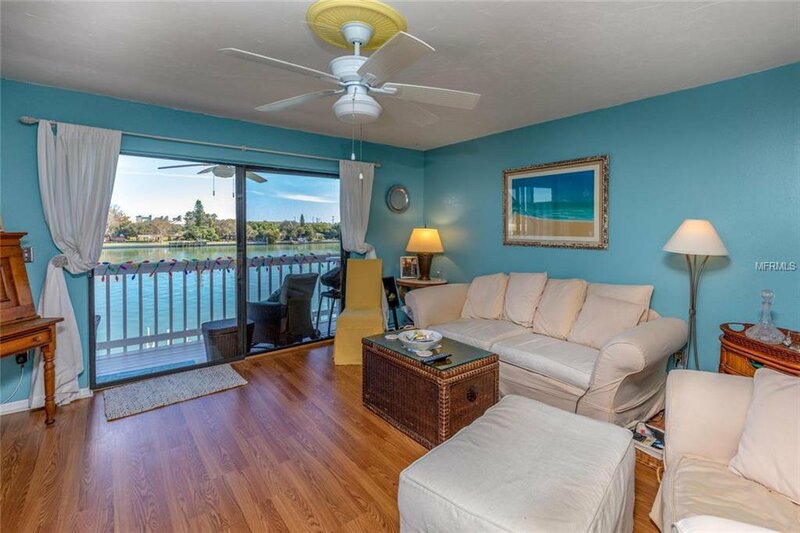 Enjoy breathtaking easterly water views from this beautiful 1 BR, 1.5 BA 2-story condo and enjoy the Florida lifestyle like you are on vacation every day. 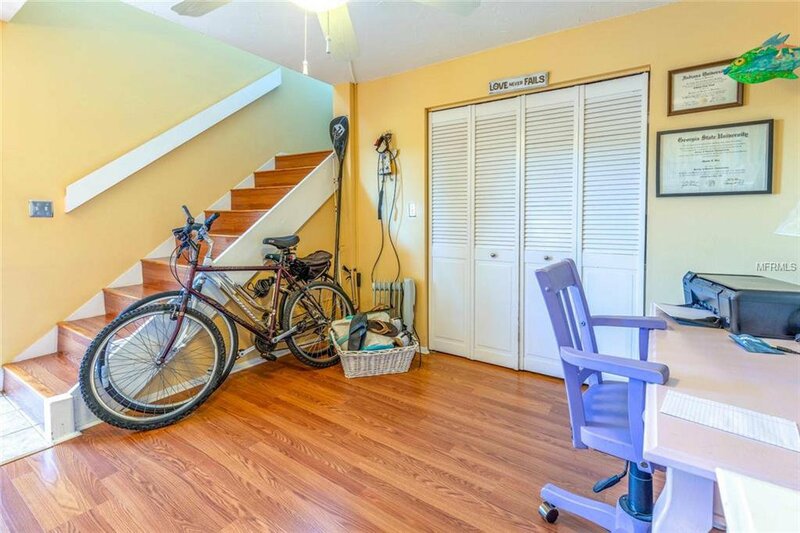 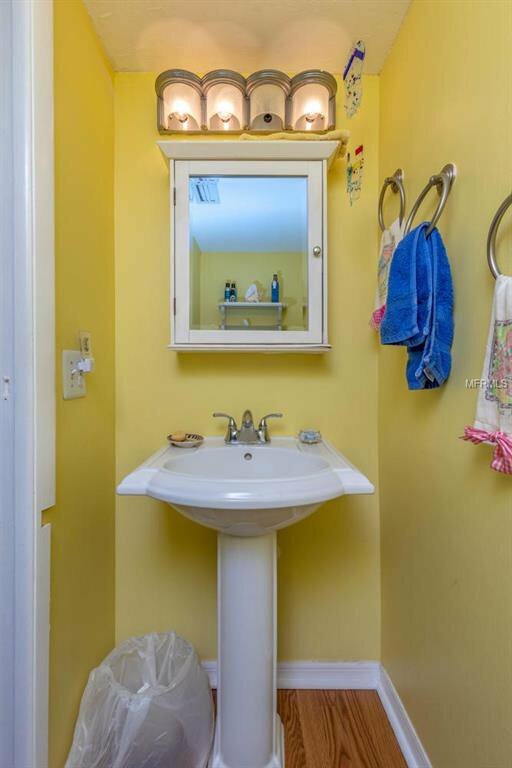 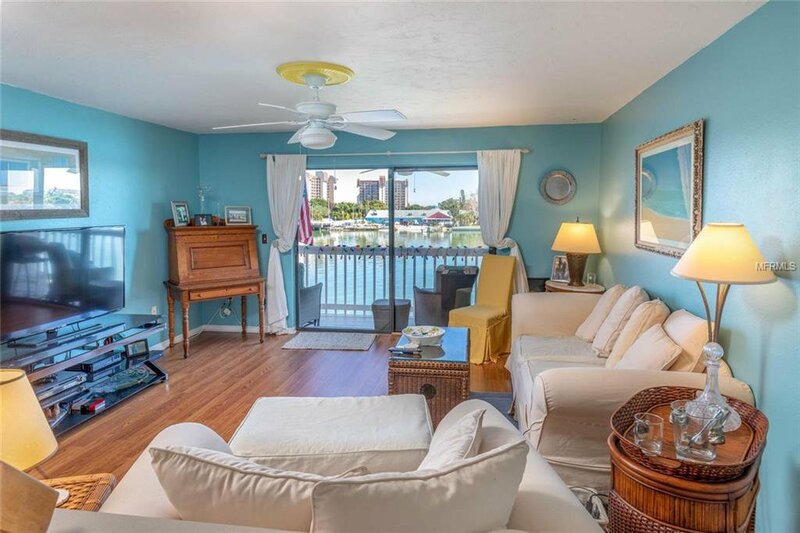 Highlights include: use of boat slip with convenient access to the Gulf and Intracoastal, private balcony on both floors with superb water views, remodeled kitchen with beautiful white cabinetry and newer stainless steel appliances, newer laminate wood flooring, California closet system, roof- 2016, AC-2013, newer full size washer/dryer, and assigned parking space under building. 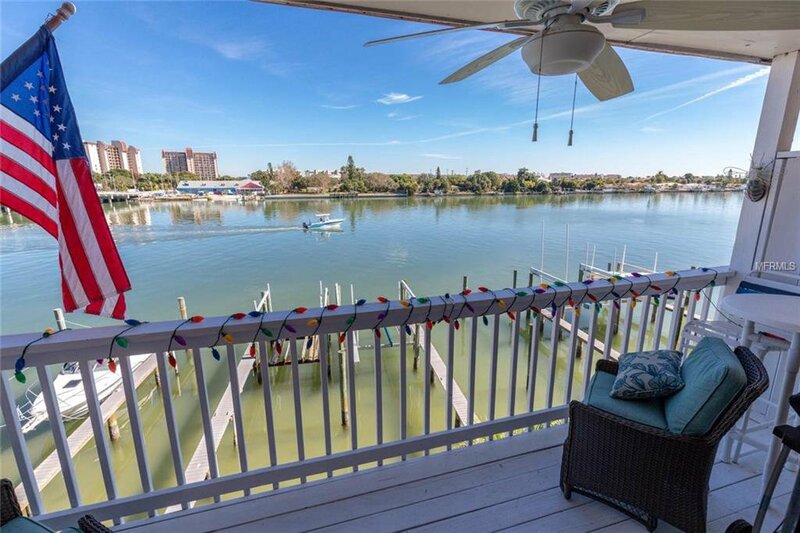 The boat slip may accommodate up to a 30' boat (will require a 1-time fee for the transfer) and allows for installation of a boat lift at owner's expense. 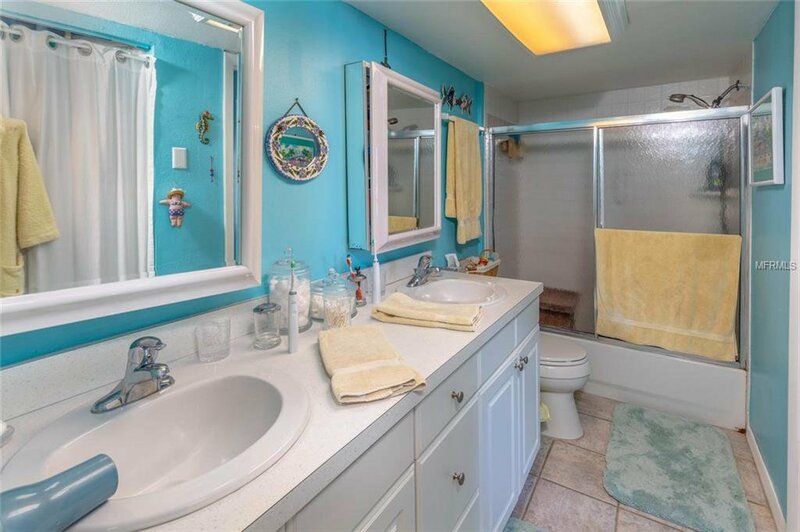 Water & electric is available. 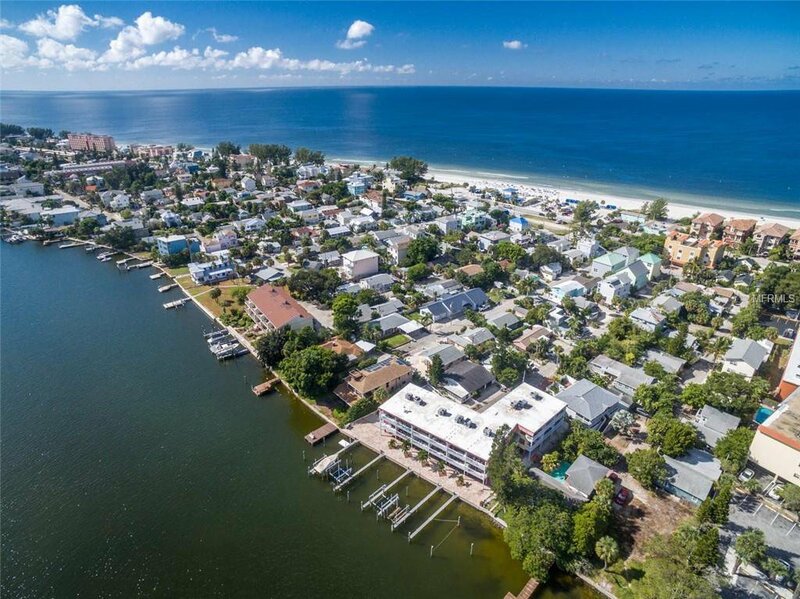 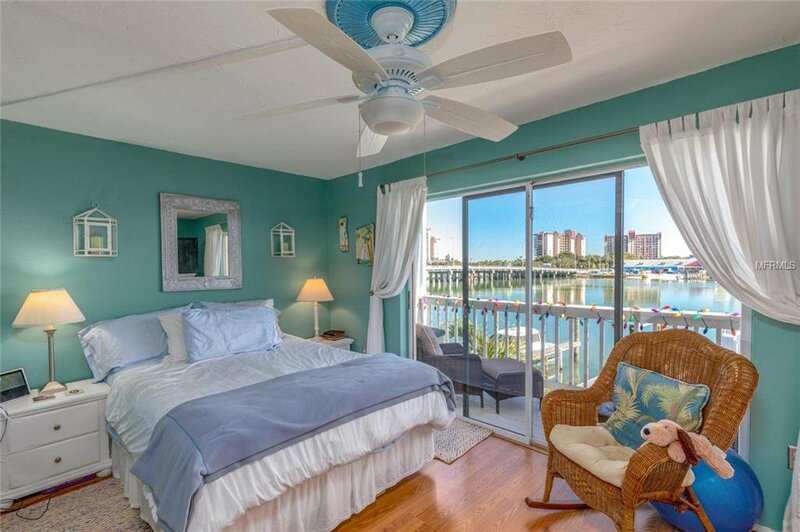 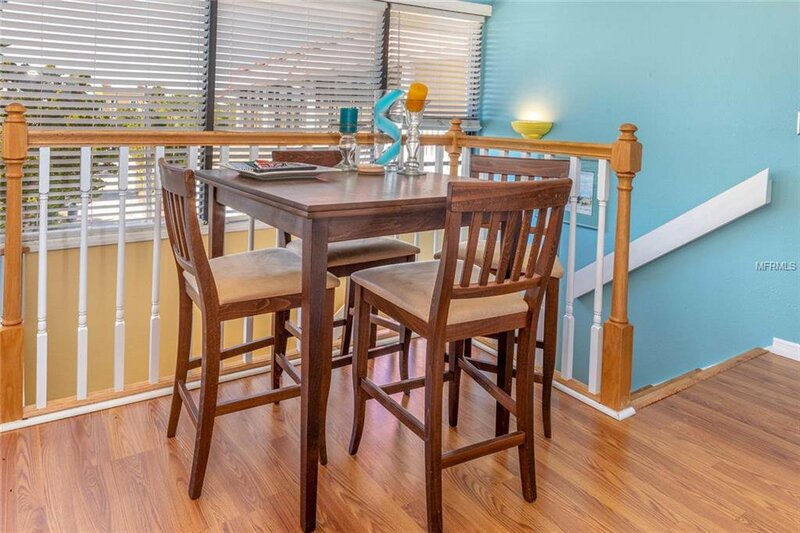 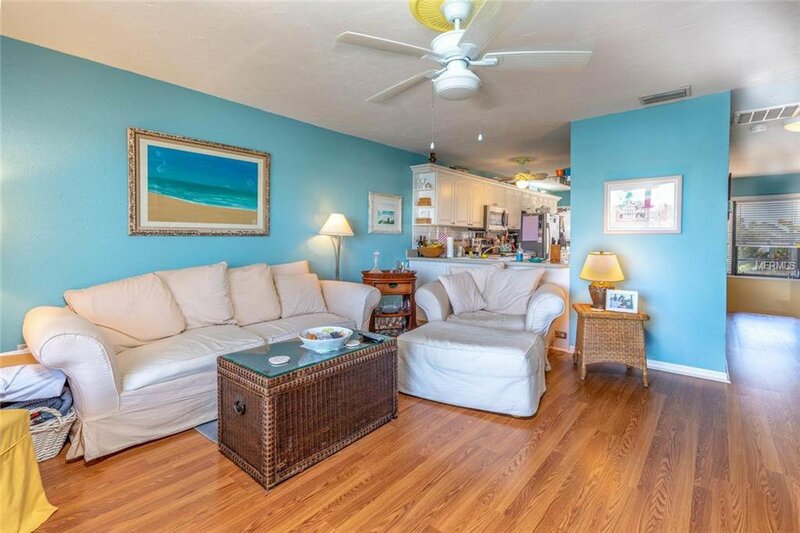 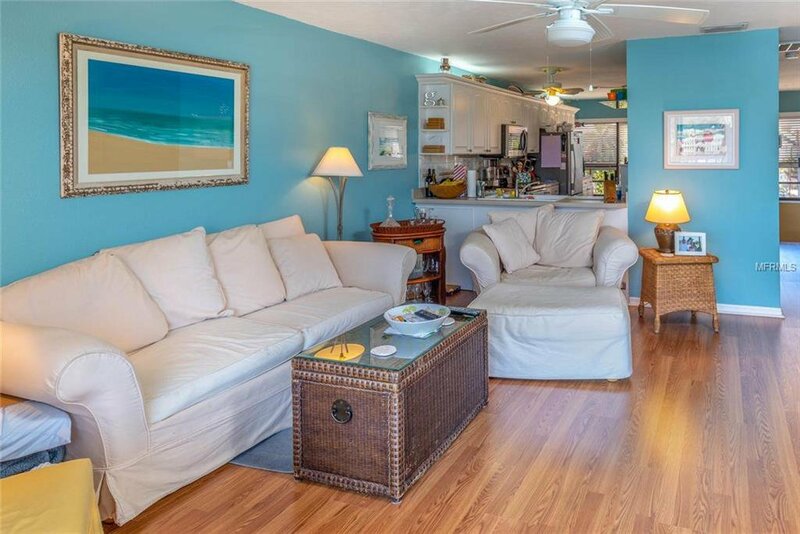 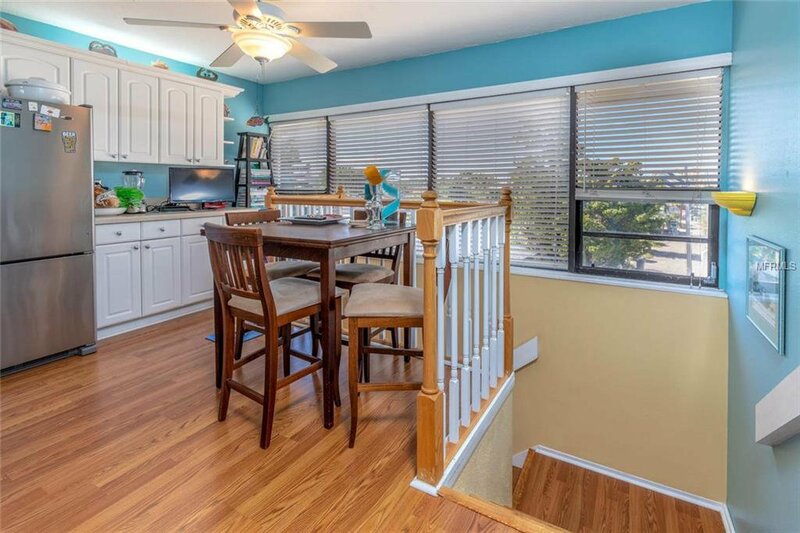 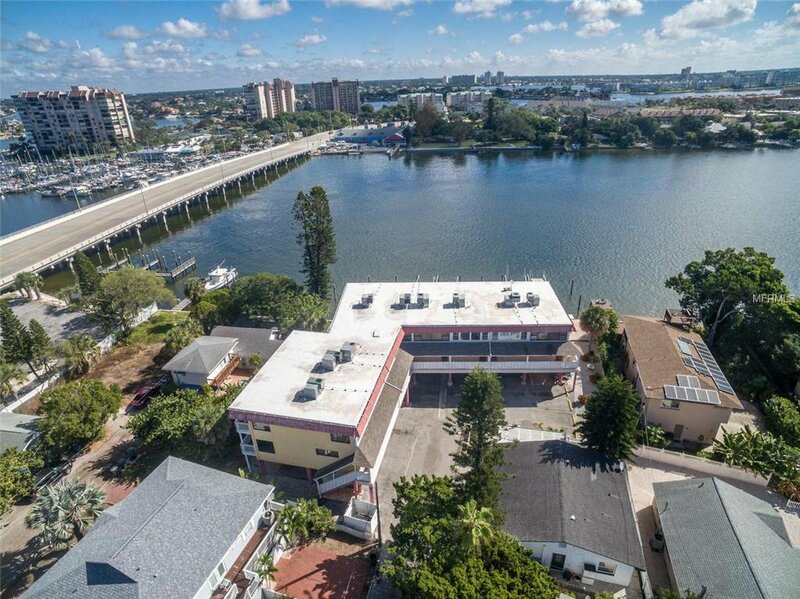 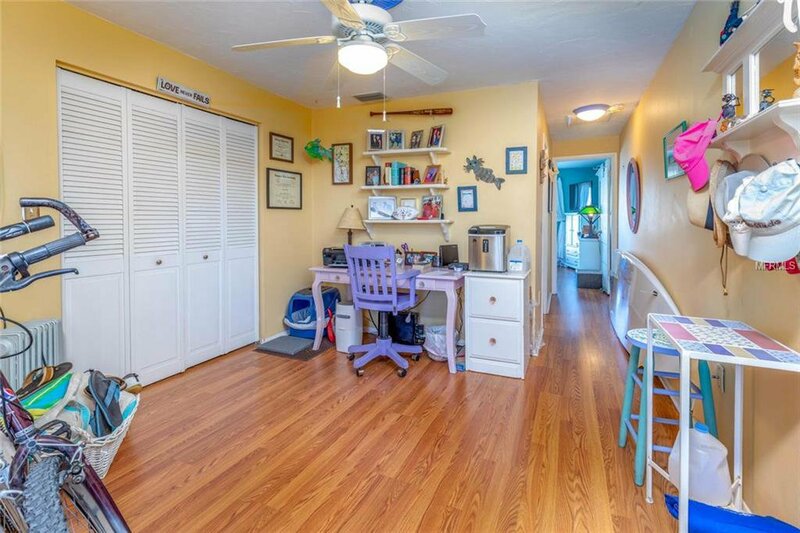 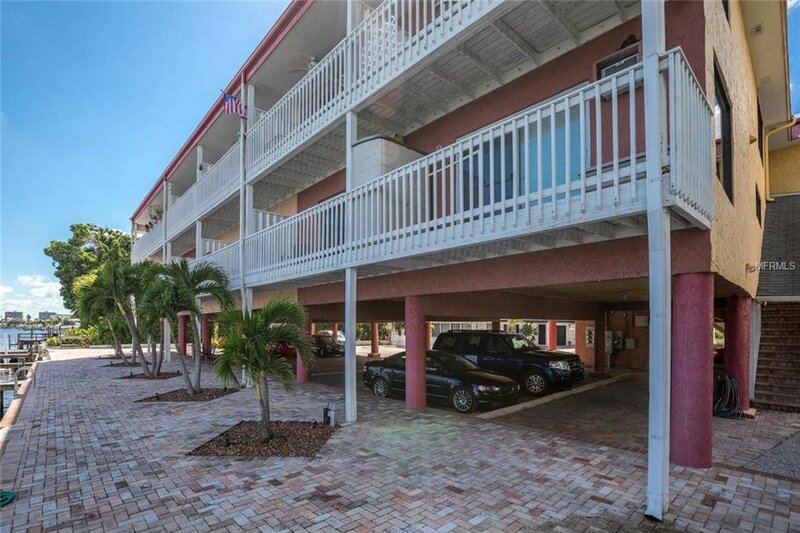 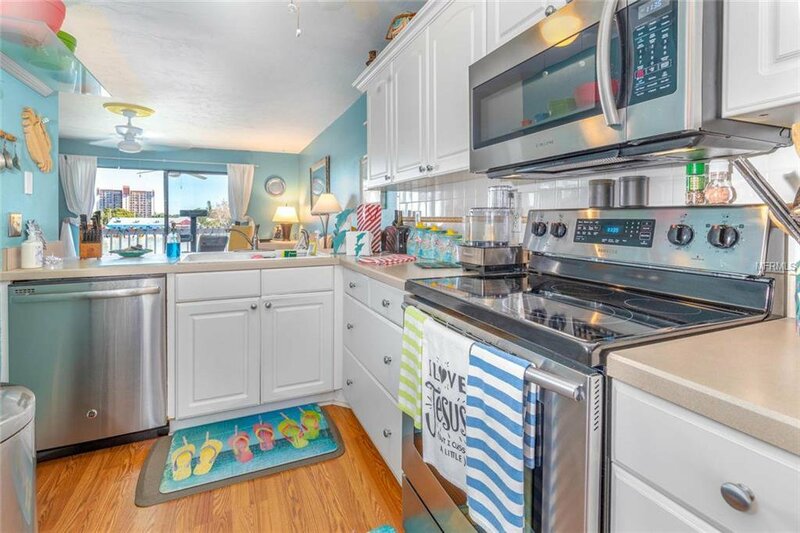 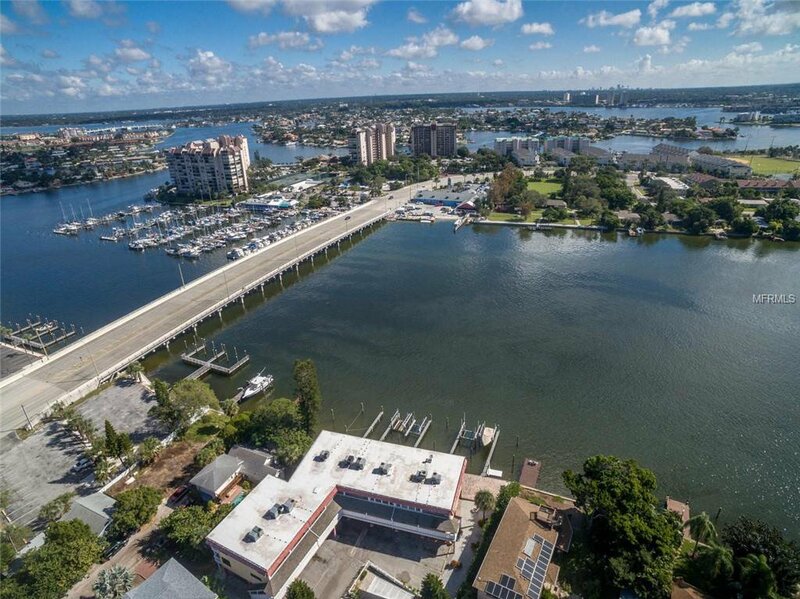 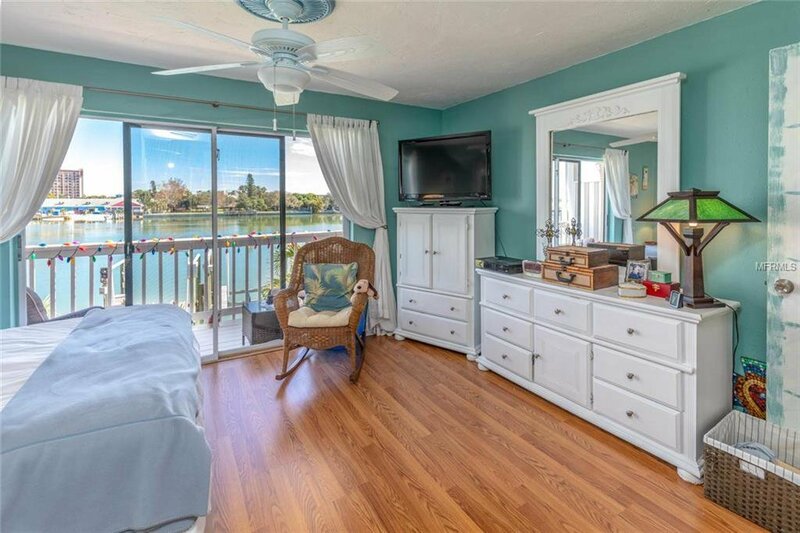 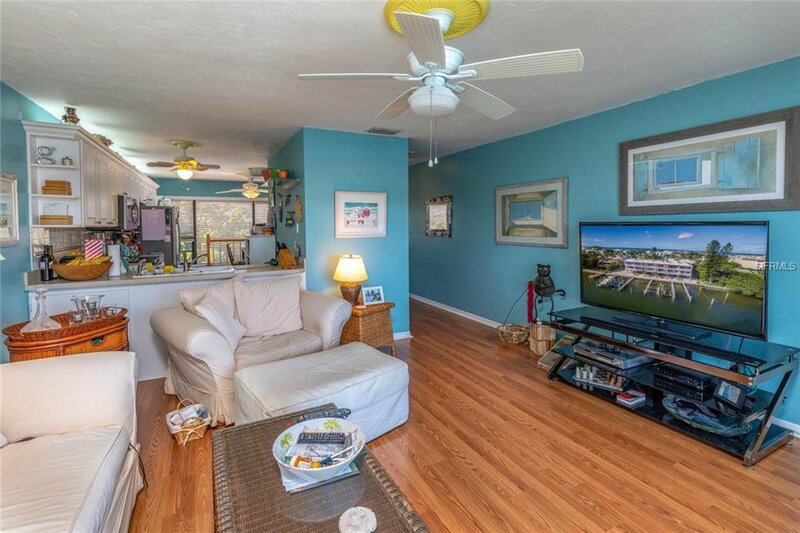 Located just 5+ minutes' walk to the beach, a variety of restaurants and the Suncoast Beach Trolley, this waterfront condo offers so much value for the money. 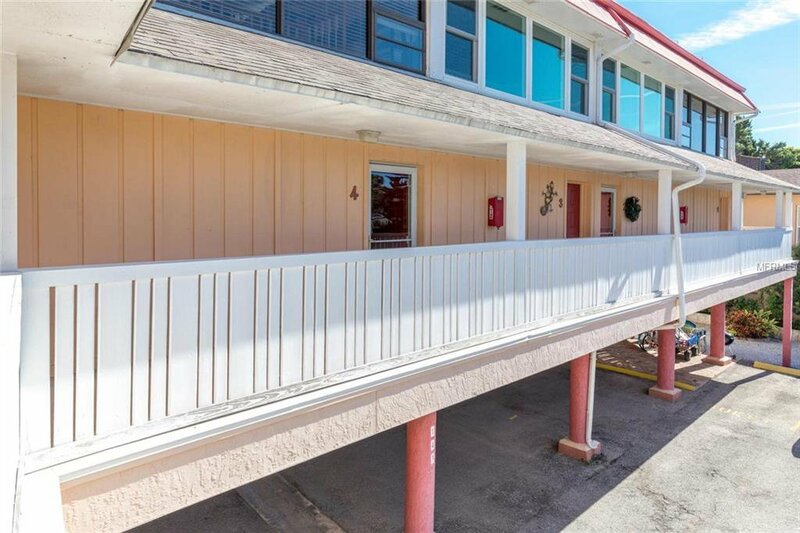 Unit #5 is also available for sale, same size, same price, with a 2nd bedroom added/converted, and has a tenant in place until 4-30-20. 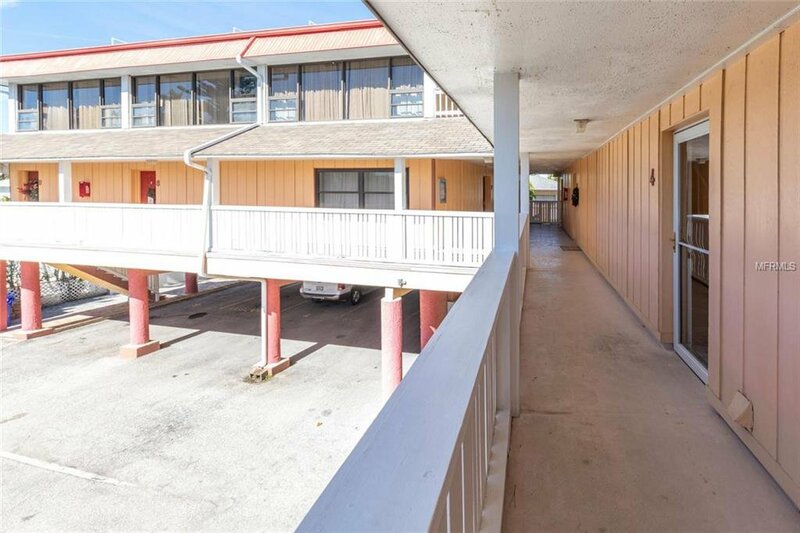 The low $425 monthly fee includes maintenance of the grounds, roof, building insurance, water, sewer/trash, and a portion is allocated to the escrow reserves fund, total 9 units. 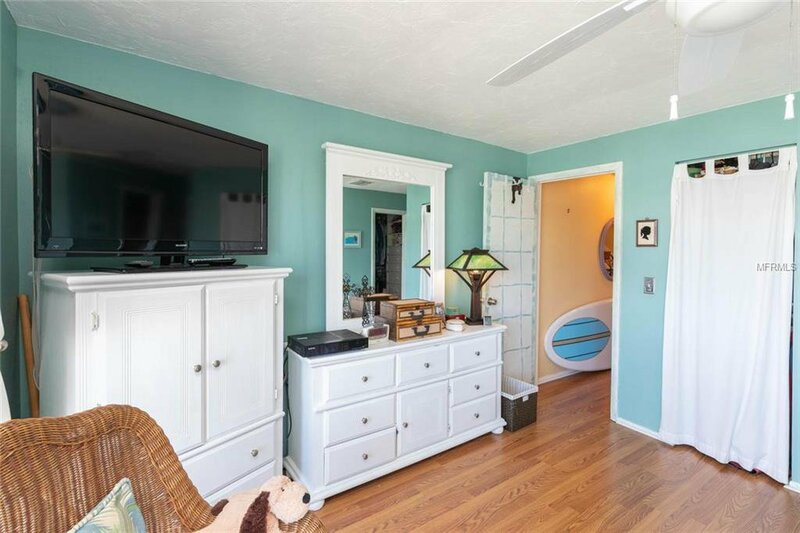 Up to 2 pets totaling 50 lbs are allowed (no aggressive breeds). 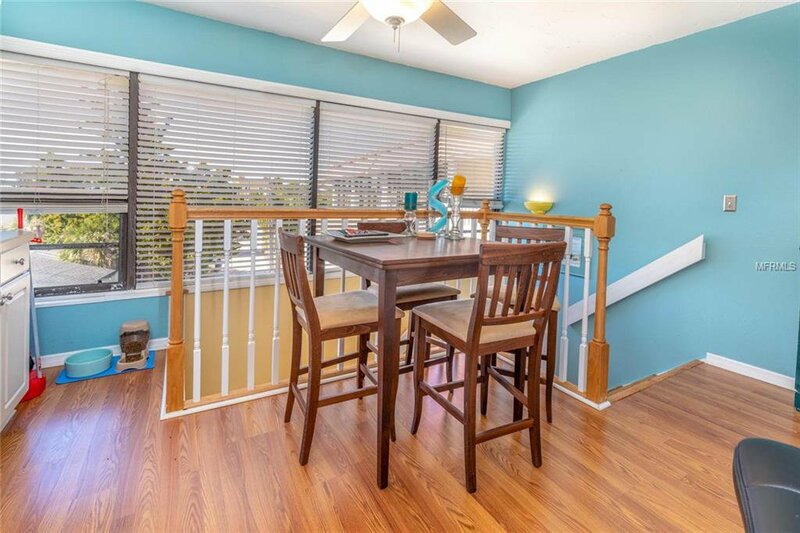 Minimum lease period is 1 month. 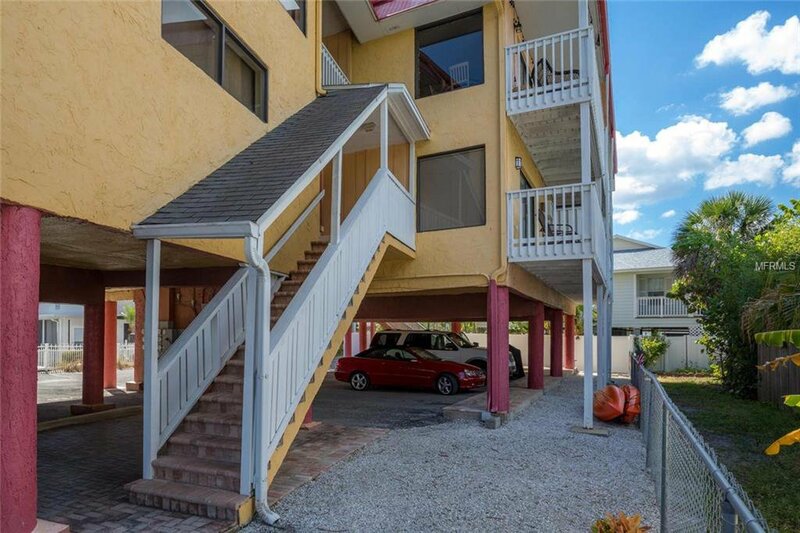 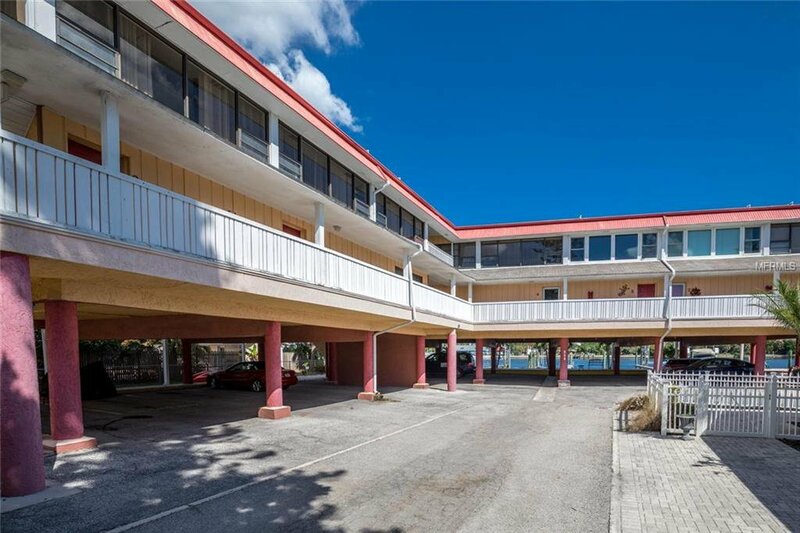 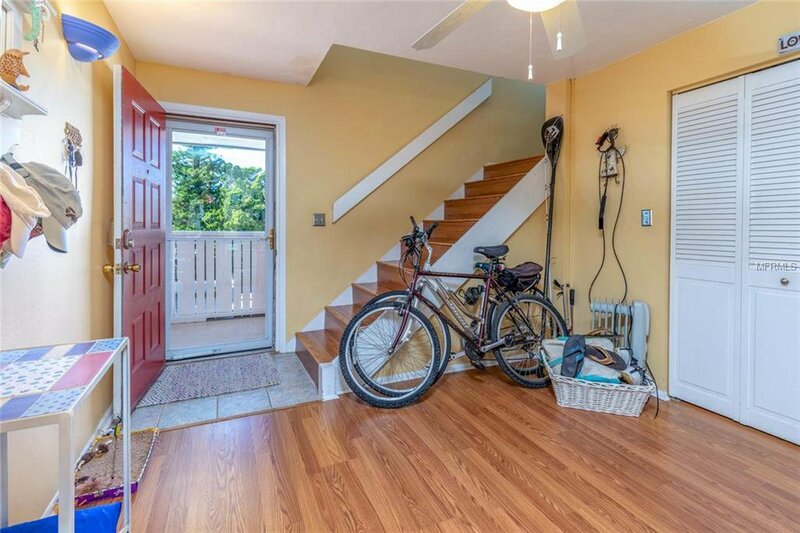 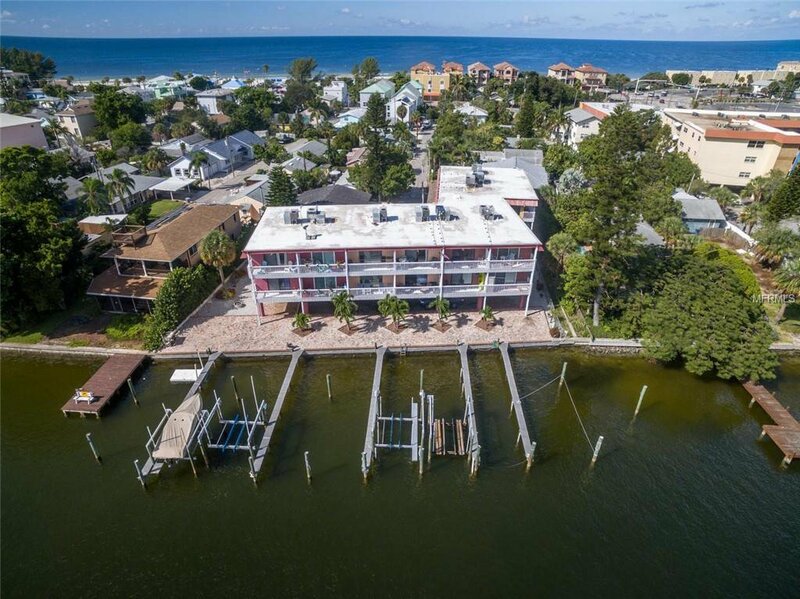 Great price for all this waterfront condo with use of a boat slip and just a short walk to the beach has to offers.